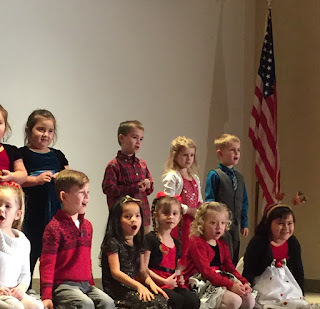 Addy's last Christmas program at school was last week. She got a new dress, I curled her hair, and added some lip gloss. She didn't want to move because she was afraid she would mess herself up. Ha! She did a wonderful job! So proud of our girl!